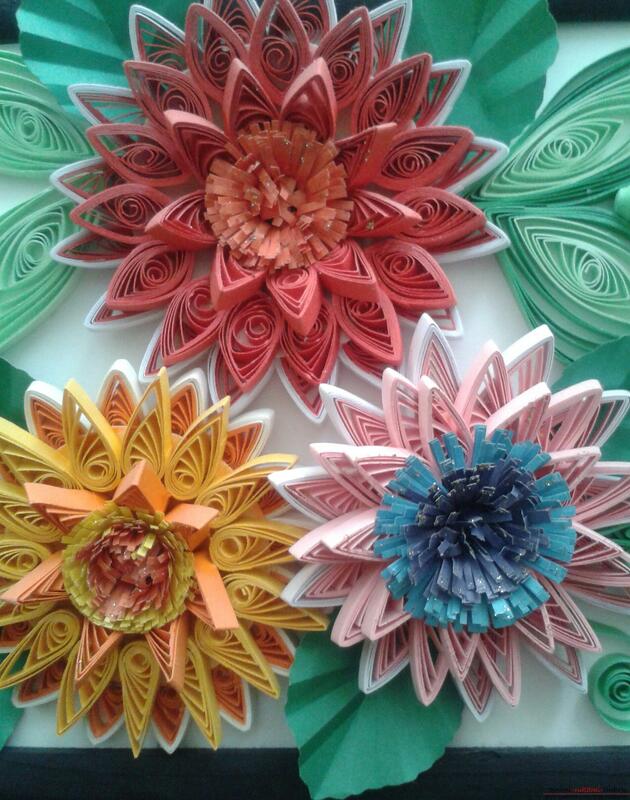 Master classes - quilling paintings "Flowers"
For a picture in the style of quilling we will need: - Quilling paper 5 mm; - Quilling tool; - Two-sided colored paper; - PVA glue; - Ruler with circles; - Scissors; - Frame; - And a good mood! In the basis of the picture, I chose flowers as large gerberas. 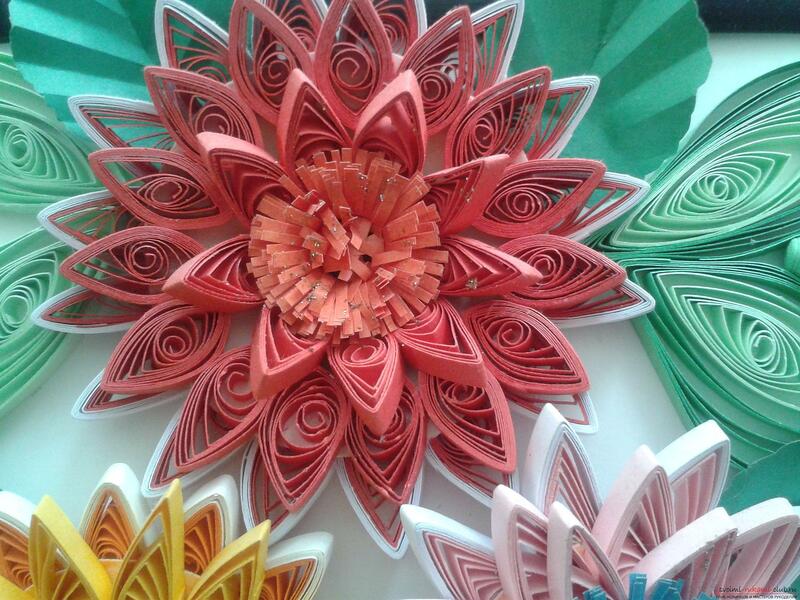 The color of the quilling colors can be absolutely any (possibly under the color of the interior of the room). 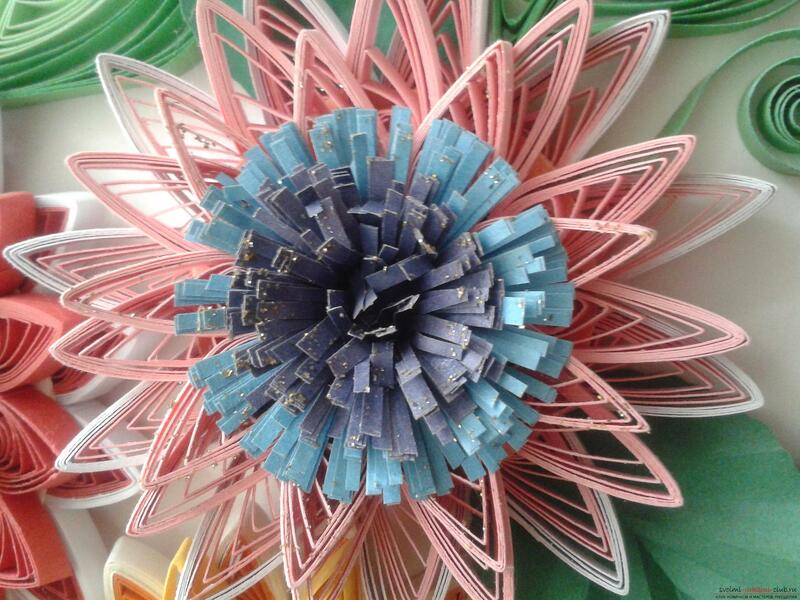 For the first layer of the flower, I glued two strips of different colors. Bicolour strips are glued into loose rolls (diameter 20 mm each). 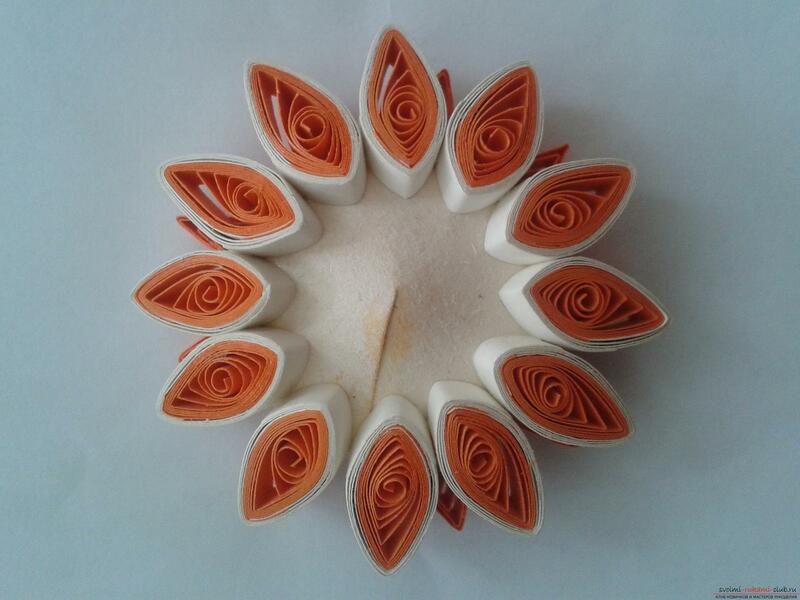 Fingers squeeze the roll on both sides, giving the shape of a petal. 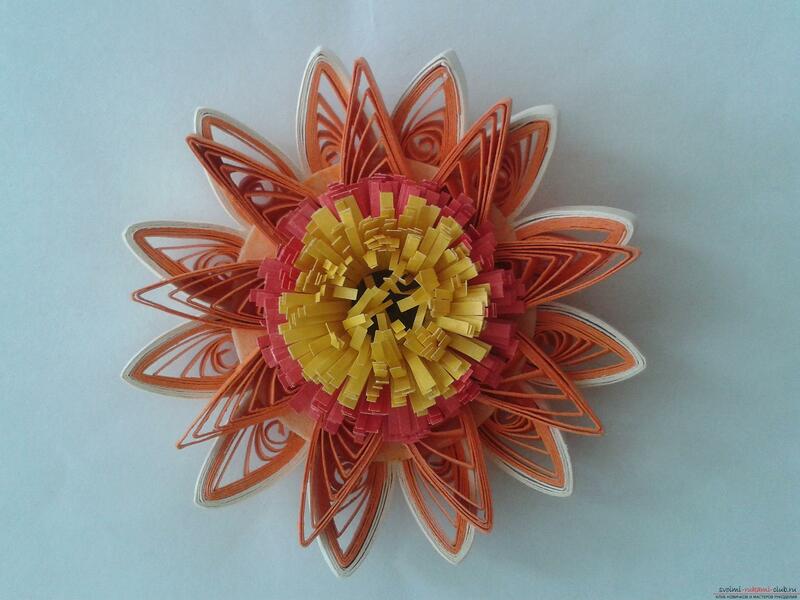 If you do quilling in the techniquea small flower (the petals for the first layer is enough 12 pieces for a large flower 16-18 pieces). Give a little time to dry the petals. 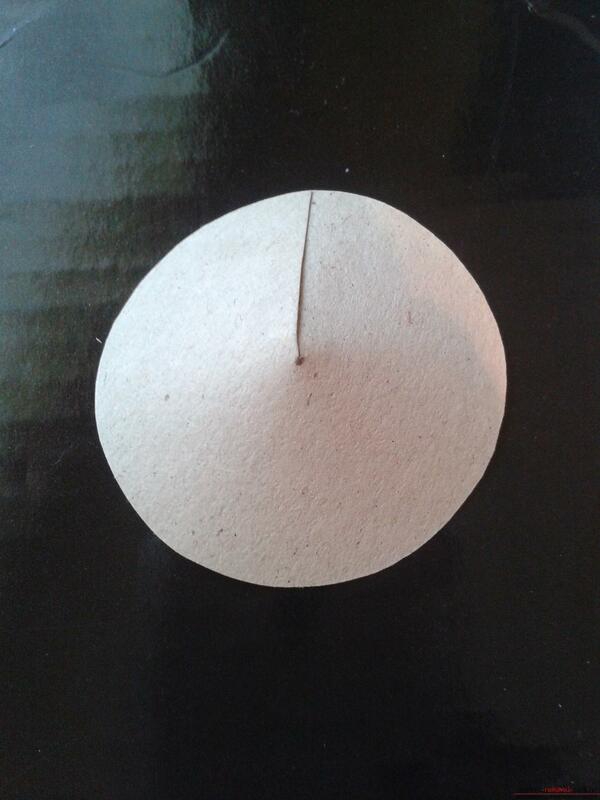 In the meantime, we glue from a thin cardboard or plain paper a funnel 3-4 cm in diameter. Then, on the funnel, we glue the first layer of petals. Let's dry out. On the second layer, I made single-color petals. Turn the funnel over by gluing the second layer. If a large flower leaves 15-16 parts, a small one. By the same principle, we glue the third layer. While the flower dries we make the middle of the flower. From the two-sided colored paper, the mode is a strip of 15 mm wide and cut into small fringes. A strip of black color is twisted into a tight roll andglue the end of the fringe to the end. The edges are glued together. 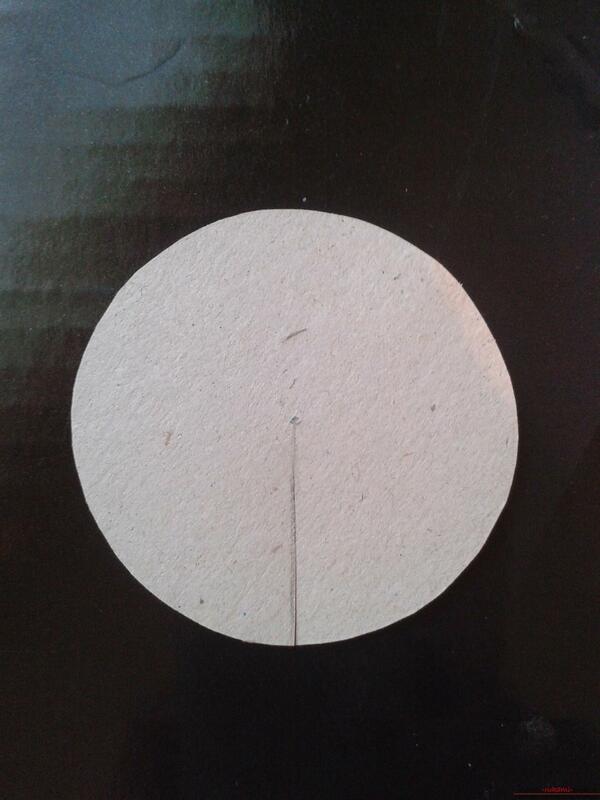 Having smeared this middle with glue and connect it with a flower well pressing fingers. Let's dry out. That's the way we create the right number of flowers. And in the prepared frame (I have this is the usualpicture frame. 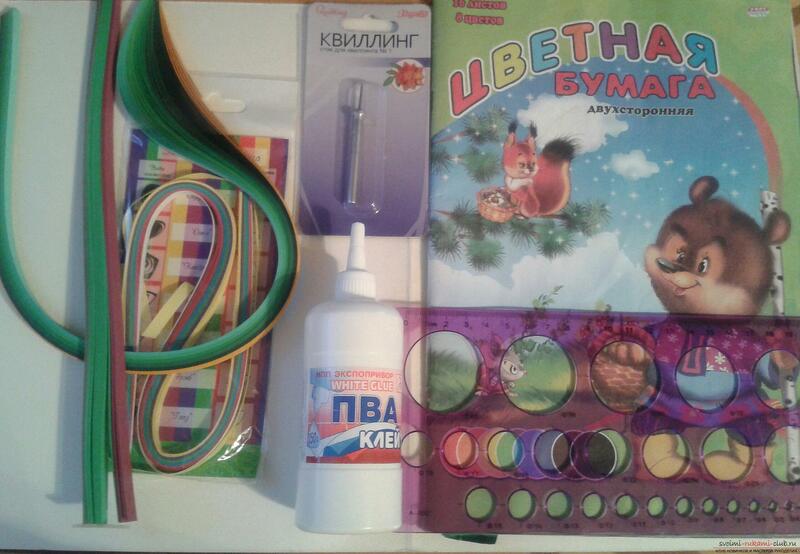 took out the glass) glue flowers, creating a composition. Gluing several green strips, make large petals. Glue along the edges of the flowers. 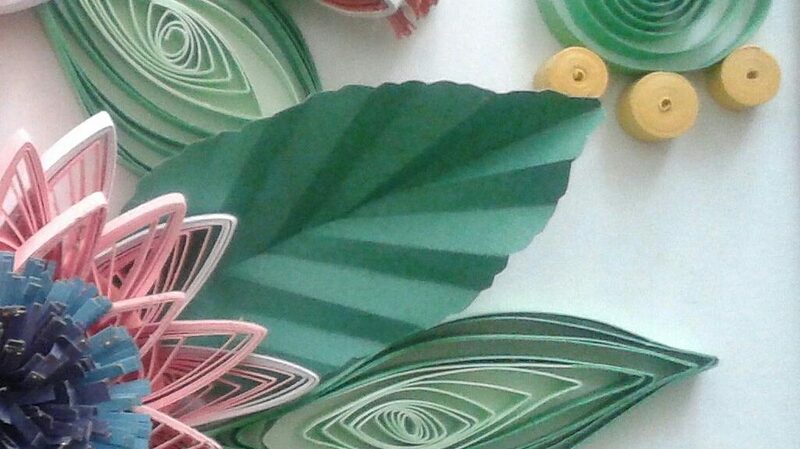 You can also make petals from two-sided colored paper. Decorate the frame or picture with some details, it's all up to you. Quilling the master class is over. And here's what I got. We hung the picture in the hall, everybody really likes it. Health to you and unlimited imagination! 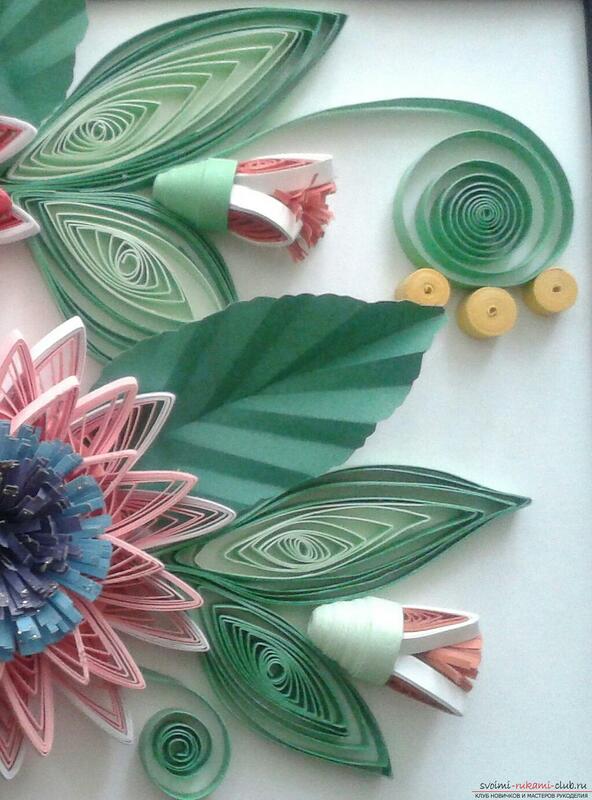 This master class will teach you how to make your own beautiful quilling cards. 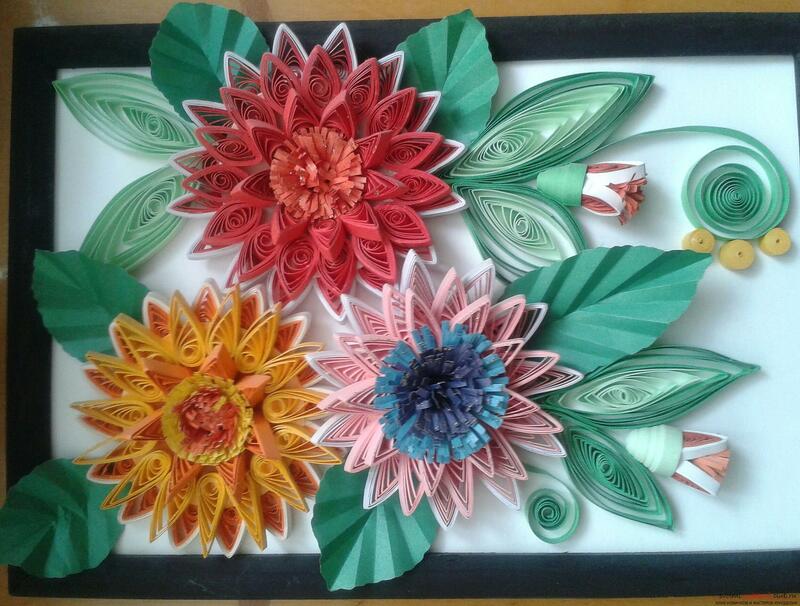 Quilling is a master class. Pictures and postcards by own hands This master class will tell you how to make your own cards for Valentine's Day. A detailed master class will teach how to sew pants for a child with their own hands quickly and simply, without patterning. This master class will teach you decorating pots using decoupage techniques and decoPatch. This master class will teach you how to make a ritual doll-amulet with your own hands.